The Kanjira although simple in appearance and small in size is part of the rich and complex South Indian classical drumming legacy. This entry was posted in Remo and tagged Drums-and-Percussion. Bookmark the permalink. 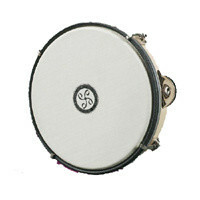 Remo White Suede Ambassador Drumhead 18"